Transcendence could have been a brilliant film had it been written and directed by Christopher Nolan and shot by Wally Pfister. But it wasn't. Nolan’s former cinematographer-of-choice Pfister is clearly trying to emulate the great films made by this partnership in his own directorial debut – like Inception, it’s a sci-fi epic with a brain. It does have a strong concept; Johnny Depp’s Doctor Will Caster, obsessed with understanding the world through computing, uploads himself to the internet and becomes a supremely powerful cybernetic intelligence – the classic sci-fi idea of a scientist turning himself into a god (see Doctors Moreau or Frankenstein) crossed with contemporary issues surrounding internet surveillance and near-future ideas like nanotechnology. 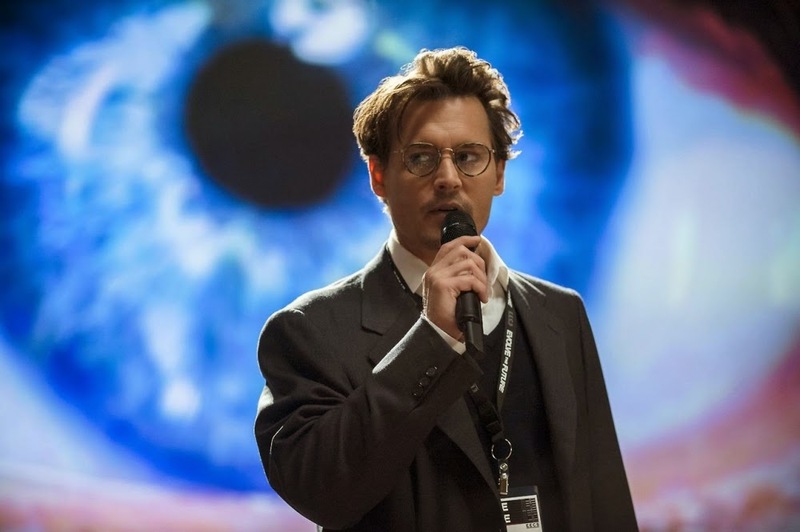 Indeed, it’s a timely plot full of clever twists, allowing for a combination of head-scratching thought and neat action set pieces; at its best, Transcendence is a captivating piece of speculative fiction. The problem is that it fails to connect with its characters, who plod their way through the plot but have little depth to make us care about them. A great cast, including Rebecca Hall, Paul Bettany, Cillian Murphy, Morgan Freeman, and a bored-looking Depp, are wasted on mediocre writing, and it’s sad to think how great the story could have been if a better writer had taken their pen (well, their Final Draft app) to the crumbling relationship between Caster and his wife Evelyn (Hall), at first determined to bring her husband back to life through whatever means necessary but increasingly aware of the worldwide danger she’s causing. I also got the feeling that the film is fifteen minutes too long, and there are clear sections that scream to be cut down. The trailer gives the impression that Doctor Caster gets shot, dies, but uploads himself into the computer system, right? No. He gets shot, magically recovers, prances around for ten minutes showing off his big, shiny computers, then falls ill and dies. Then becomes the internet. Oh, and there are some weird plot holes, such as the FBI sitting on their arses for two years before deciding they should probably take a look at the massive computer complex from which Johnny Depp’s quite clearly taking over the world. Hey, at least, coming from Pfister, it must look good, right? Well, not that good. There are some scenes where his experience as a cinematographer shows in inspired choices of shots, combining the beauty of the natural world with high-tech futurism, but as a whole, his cinematographer Jess Hall doesn’t have the same talent as Pfister himself in finding the perfect shot to bring drama and energy into a scene, leaving the film often looking as dry as the dialogue sounds. 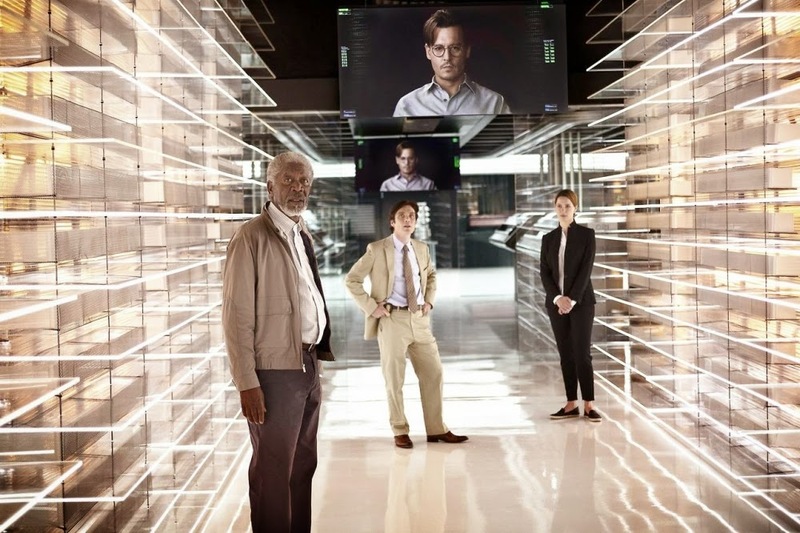 Despite my criticisms, I did enjoy Transcendence, more than other critics seem to have – maybe I have a soft spot for this genre, but there do seem to be a lot of good ideas piled into this film. But it could be so much better. To put it another way, I wasn't as bored as Johnny Depp seemed to be, but Pfister should stick to what he’s good at.